Walking back to the car after a lackluster sunrise this morning I rounded a bend in the trail to see two fox cubs playing on a rock outcropping not more than 15 feet off the trail. One darted off to the den before I could bring the camera up to my eye, but the other seemed too curious to flee. It eyed me intently as I slowly moved to a respectful distance and got the tripod setup. After a short period the little guy must have decided I was cool and went back to doing all manner of fox cub things as I photographed his antics. I watched quietly and shot for almost 30 minutes as he scampered around the rocks until eventually he got bored and went in search of his sibling. 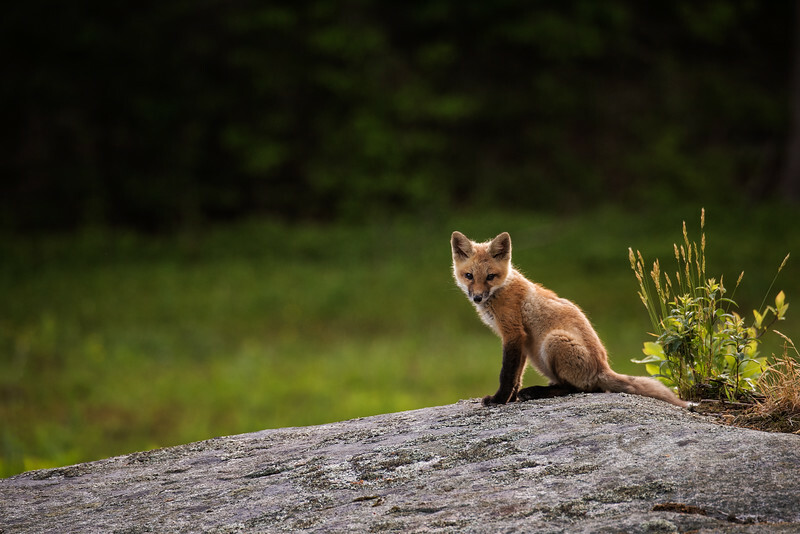 I waited for a short time to see if he would return and then headed on down the trail; stopping just before losing sight of the area I saw two young fox faces peering back at me from a crevice in the rocks. We locked eyes for a moment and just like that they were gone from site.